Selected by the world's most knowledgeable and well-connected graphicdesign commentator, Steven Heller, this survey gets into the minds of designers who create typefaces, word-images and logos through their private sketchbooks. Arranged by designer, it reveals how nearly 120 of the world's leading designers and typographers continually strive to find new and exciting ways of communicating through letters and words, and provides fascinating insights into their work. Aimed at all those who use type, whether by hand or on screen, this revealing compendium stresses the importance of good typography at a time when reading habits are changing, and celebrates a craft that has endured for centuries. Over 360 pages of typography from artists around the world, with accompanying artist bios. 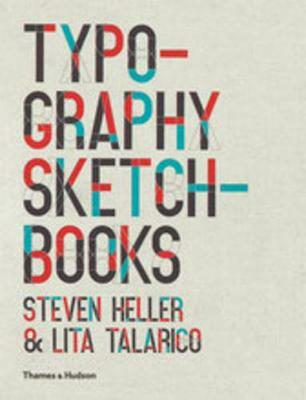 This book provides a rich source of visual stimulation for artists and typography lovers alike. Genuinely fascinating!